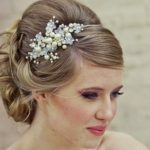 Winter Wedding Hairstyles – Sophistication is the hottest trend in hairstyles this winter, steering away from loose curls and undone hair trends that have been especially popular in the fall season. Brides getting married this winter are turning to polished and refined styles that are both elegant and feminine. Think polished up-dos with elegant clips or flowers that will frame your face perfectly! Beautiful braids are hot for the winter season, but many brides are thinking outside of the box to incorporate this style. 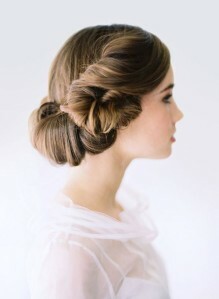 Instead of having a simple braid, brides with long hair are wrapping the twist into a bun for a more textured look. The great thing about this style is that it work perfectly for a laid-back daytime wedding or a formal soiree depending on the accessories you use. Stylists are also playing with dramatic, oversized braids either down the back or off to the side. Even if your hair isn’t lengthy enough – or is too thin – you could consider adding extensions for volume. Silver is a luxurious accent that can add a classic elegance to any style. 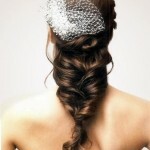 If your dress has lace accents or jewel details, you may want a pop of sparkle in your hair as well. 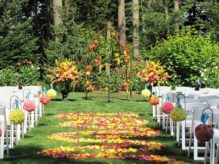 Brides can add a bright hue of red, teal or amethyst that, when paired with white, will have everyone talking! 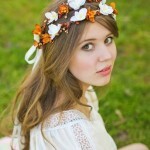 You may even want to add a hint of color or shine with a small headpiece. However, if you’re going to go this route, it’s best to stick to a simple hairdo for just the right balance of dazzle. 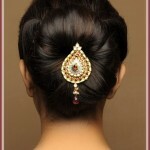 Brides can pull their hair back in a tight bun or polished ponytail. It’s no surprise that white is in this season! 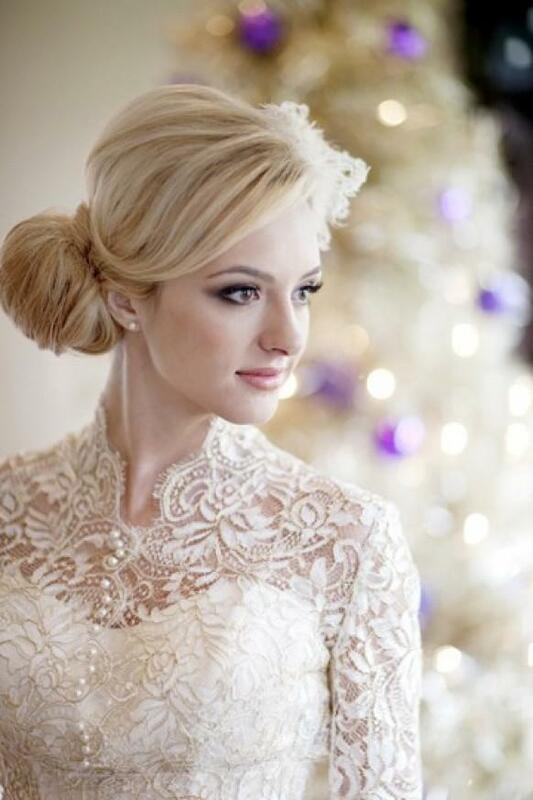 Adding snow-colored accessories to your updo adds a classic look that will catch everyone’s attention. In the past few years, warmer tones like beige and gold have been very popular, but white lace and feathers are now front and center. Complemented these accessories with accents of silver and diamonds to make for a complete look that has a touch of vintage appeal.